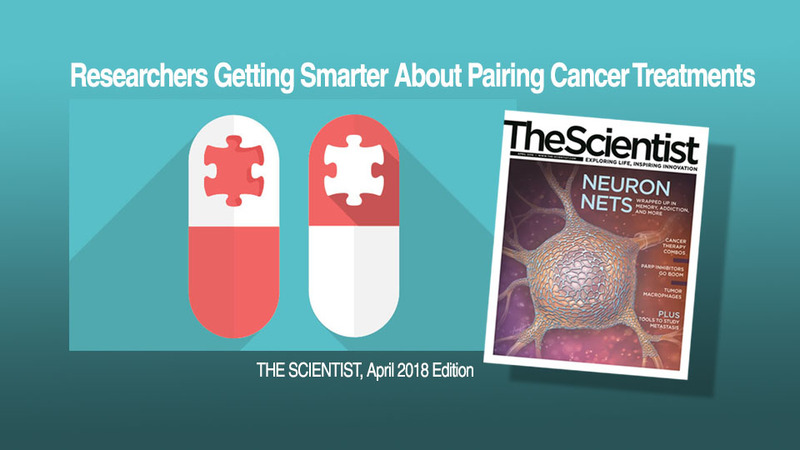 A featured article in The Scientist magazine highlights CureMatch co-founder Dr. Razelle Kurzrock and her clinical use of personalized drug combinations therapies at the Center for Personalized Cancer Therapy at the University of California, San Diego. The advances in personalized cancer treatments appear to lead to better results for cancer patients. Check out the entire insightful article at The Scientist. Dr. Kurzrock and her colleague, Shumei Kato, also a UCSD medical oncologist, share and discuss challenges in cancer care. Their research on using genomics to better predict effective combinations of therapies is the immediate future of cancer treatments. Frustrations with the ability to find matched treatment led, in part, to the forming of CureMatch. CureMatch’s PreciGENETM Analysis is commercially available to help oncologists like Kurzrock sort through hundreds of FDA-approved and FDA-approved off-label treatments to predict ranked combination therapies based on sequenced cancer tumor data. As Samir Khleif of Augusta University’s Georgia Cancer Center so correctly stated, “The permutations of potential combinations are endless.” Utilizing computer processing to do the deep analysis -especially with new drugs released frequently – is the fastest and easiest way to keep up with available data. Oncologists, sequencing labs, pharmaceutical companies, and tumor boards alike are trying out this new available prediction platform. Despite the challenges, the cancer research community continues to see drug combinations as the future of therapy. Most researchers agree that successfully reining in a cancer’s growth and spread and extending patient survival will involve a barrage of multiple compounds. And this approach is spreading into the growing field of precision oncology, where researchers are looking in patients’ genomes for clues to which therapies are most likely to be effective. Several years ago, frustrated by the lack of FDA-approved treatments that offer lasting benefit and by an inability to find an appropriate clinical trial for many of her patients, oncologist Razelle Kurzrock, director of the Center for Personalized Cancer Therapy at the University of California, San Diego (UCSD), decided to start her own customized therapy trial. Thank you to @annaazvolinsky, writer of this article in The Scientist, for highlighting the importance of researching cancer drug combinations. We agree!